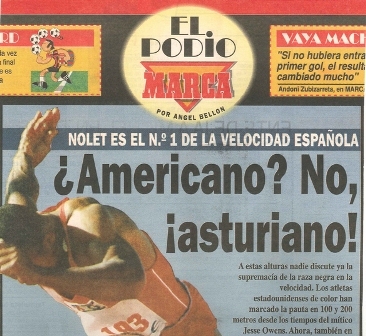 Pedro Pablo Nolet, a 100 m. and 200 m. Spanish Olympian athlete, suffered during 8 years a chronic tendonitis of both Achilles tendons for eight years. To eliminate the pain and compete, he was taking a corticoid treatment. Unfortunately, in 2003, he suffered a total tendon rupture. Two years after the tendon surgery performed due to the rupture, he began to feel again the pain in the other tendon and typical tendonitis discomfort caused by muscular soreness. At that moment he decided not to repeat the same mistake and take action. Nolet began searching for alternative solutions. In 2011 he initiated the treatment with the ORGONO RECOVERY SUPPLEMENT product, taking it orally and also making compresses with organic silica on the affected area, according to the recommendations of a health professional. Although injury recovery progressed gradually, the effect on the pain and tendon elasticity could be felt after the first weeks of the treatment. The problem was eradicated directly, the treatment being much more effective than the corticoid infiltration and much safer as it was not presenting any side effects. Within the first two months, the athlete was noticing very positive results; the muscle tissue regeneration was expressing its benefits: more elasticity, much more force at tendon level and a considerable decrease of the pain and discomfort. 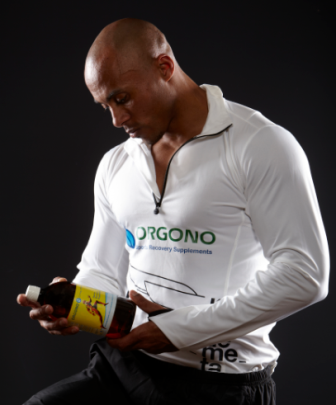 "ORGONO SPORTS RECOVERY really regenerated my tendons and made them healthy. After my experience with this product in treating chronic injuries, I can declare that only after 2 months of treatment one can notice a substantial improvement and after 2/3 months the results are more than evident. This is due to oral treatment and also the application of compresses at specific areas. I also mention that other friends of mine with different problems have noticed much faster results, in just few days after beginning the treatment. As for me, after suffering from epicondylitis, I managed to improve in only a few days by using compresses and applying them for the whole night". ¨This product has specific ingredients which strengthens fibers by stimulating the production of the enzyme called prolyl-hydroxylase which is responsible for the quality, quantity and resistance of the collagen. I strongly recommend to all the athletes who have the same problem to use this product¨. ¨I was noticing gradually the positive effects of the product after taking it orally, making compresses and using the gel product for local applications. After being unable to lift 70 kilos of weight in bench press, I was surprised to notice that I manage to lift 140 kilos without feeling any pain or discomfort, and that was really unbelievable. With each passing week I was feeling better and better, and I even managed to win a bench press competition¨. Pedro Pablo Nolet could continue competing at the highest level and also dedicate himself to the bench press, after overcoming another elbow tendonitis which could be possible with the new treatment. This athlete won a tourney without feeling any pain or discomfort and was able to participate in other ones, as the European Senior Tourney.